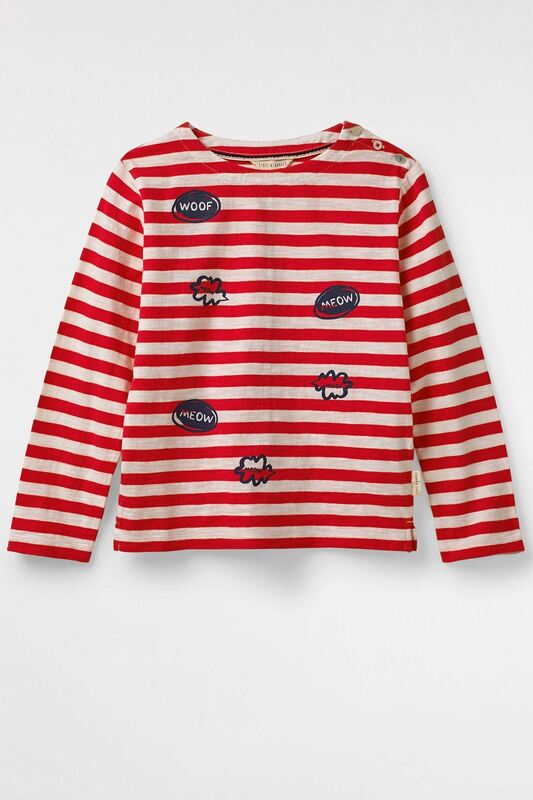 Part of White Stuff's Battersea Dogs & Cats collaboration, their Meow stripe tee is purrrrfect! This long sleeved charity tee has three buttons at the shoulder (with a contrast thread) and has a navy blue 'MEOW' print to make you smile. Part of White Stuff's Battersea Dogs & Cats collaboration, their Meow stripe tee is purrrrfect! This long sleeved charity tee has three buttons at the shoulder (with a contrast thread) and has a navy blue 'MEOW' print to make you smile. Meet White Stuff's new limited edition collection, which supports Battersea Dogs & Cats Home by giving 5% from all products sold to help care for our furry canine and feline friends.